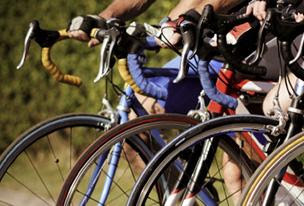 When I was a kid....I love to do cycling and going out with friends, we use to have lots of races on cycle. it required lot of courage.....and confidence. ....I started learning bicycle but I failed so many times, slipped off it, cycle punctured, small accidents, but in the end, I learn that by doing constant efforts of keeping my eye on it & balanced it quiet well. Sometime I fell down looking here and there, what my friends are doing it, how they far or near they are. But after making small mistake I learnt that focus and balance is only thing from which I will be able to manage it well. But do you remember the 1st day of cycling? The 1st paddle you put your leg on? it was scary, isn't it ? True? But what now? After years of practice you can run the cycle in zig zag ways too? Seen the same people riding cycle on the levels of mountains now a days, Does it happen overnight? It requires practice....consistency efforts....trust in you that you will not fall of it. As i was a kid, people use to give me lots of advise on cycling when i go out to ride, obstacles will come, look here and there, look at the bus or big vehicle and then ride it on side of the road not in between, but I ride on and on and on and never complained about anything at all. Earlier when mom used to send me for buying groceries, though it was very near to my home, yet I was keen for cycling all the time, but as time passed, I got fed up & my interest gone down to use the cycle for the same. Obstacles will come, Economic Cycle, Political Instability, Government Failure, Currency & Bond movements, Sub-prime issues (USA -2008), FII’s coming and leaving India, Inflation Worries, GDP, Fiscal Deficit, CAD, Budget, Scams, War etc., etc., do not eye off your Financial Goal, Do Attach your investments in line with your financial goals. Do not think about obstacles and stay Invested for long term. To be the expert in any field, one need to stay on, keep trust in one self, practise, and holding on to dream, Vision....same is with equities - we need to invest in equity for long term, accumulating the amount for our nest egg for next 10-15-20 years of different financial goal, whenever you have money-monthly, quarterly, yearly or when you get bonuses, salary hikes, profit. One should start investing on regular basis for long term to get rewarded on equity and its compounding effect. There will be days of Up’s and Down’s where holding to equity for long term also looks boring, as we have seen sometime people get fed up by non performance of equity & get out of equity, as soon as they get out Equity starts performing at its best ever J sometime people start comparing with FD’s & Bonds vis a vis Equity non-performance. Equities take time to grow as there are economic cycle ups and downs. Like in Cycling, we never look here and there while riding on to it J we should not regularly look at sensex or nifty or any index as we are investing in equity for longer term to fulfill our financial goals (goals can be classified as Retirement, Child Education, Vacation abroad, Child Marriage Planning, Emergency money planning, buying a house or car etc., etc., the only thing which matter is keeping your eye on the goal and keep investing for it.